Experience the essential sights of Port Douglas, the Great Barrier Reef, Cape Tribulation and the ancient Daintree Rainforest with this exclusive 5 day small group touring package. Everything is included all flights, tours, hotel, cruises and personalised transfers. Cruise to the Great Barrier Reef, the largest reef in the world and get up close to a multitude of species of fish and marine life. Enjoy a journey through the rainforest on relaxed guided walks as well as a spectacular wildlife watching river cruise. This 5 day package is the perfect introduction to Tropical North Queensland. Feel the warmth of Tropical North Queensland as you arrive into Cairns and discover the coastal beauty of the famous Captain Cook Highway Drive where rainforest meets the ocean en-route to magical Port Douglas. You will be personally met at the airport by a DISCOVER AUSTRALIA representative and transferred from the airport to your hotel. Enjoy amazing views across the spectacular turquoise Coral Sea as you are transferred from the Cairns Airport to your Port Douglas hotel, then you can relax and use the rest of the day to explore your hotel and its facilities, perhaps take a stroll around the neighborhood and central Port Douglas. 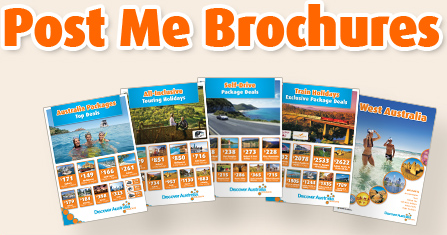 Meet and Greet Personalised Arrival Transfer, Overnight Port Douglas Accommodation. 'Where the rainforest meets the reef', Cape Tribulation is renowned for its scenic landscape, remote beaches and the world heritage rainforest of Daintree national Park. Be guided through this pristine rainforest and discover its incredible diversity, experiencing all it’s natural wonder. Journey through ancient rainforest at Mossman Gorge along private, gentle tracks, visiting culturally significant sites and trailing over meandering cool rainforest streams. Hear and see the crystal clear waters of the Mossman River as it flows over giant boulders whilst you listen out for birds and other local wildlife. Step back in time and experience the magic of the Daintree as you travel to a secluded lunch site set in a hidden rainforest resort to indulge in a gourmet lunch and a swim in a cool, fresh rainforest creek. Cruising the calm waters through the forest, spot estuarine crocodiles and other wildlife along the banks of a mangrove lined creek. Showcasing a wide variety of visual delights; take in the spectacular wilderness and scenery of the mangroves and its wildlife. Learn about the history of Cape Tribulation and the reason behind the name as well as Captain Cook’s exciting tale of narrowly avoiding shipwreck on the Great Barrier Reef. Stroll along the boardwalk and up to a lookout and see the expansive views of mountains and beach as you look across the bay. Follow the coastline and enjoy a long beach walk - surrounded by palm trees and nestled within a rainforest cape, this touch of paradise is the ultimate location to relax and unwind. 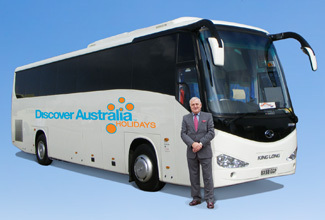 Full Day Small Coach Tour with Hotel Pick Up, River Cruise, Morning Tea, Gourmet Lunch, Overnight Port Douglas Accommodation. Port Douglas; washed by the warm Coral Sea fresh from the Great Barrier Reef as it calls the adventurer to discover snorkel and dive sites and the wonders of the underwater world. Cradled in lush vegetation and kissed by the amazing Daintree National Park, the township is pure nirvana; indulge in elegant spas, excellent cafes and restaurants, Aussie pubs, sophisticated galleries, chic boutiques of Macrossan Street, drink coconut milk fresh from the palm at the Port Douglas Sunday markets, hit a ball on world class golf courses or climb Flagstaff Lookout to take in the amazing ocean vista beyond the golden sands of Four Mile Beach. After a short cruise from Cairns you will arrive in the picturesque Low Isles on the Great Barrier Reef . The sandy coral cay islands offer an abundance of marine life and coral, an ideal spot for snorkeling and perfect island paradise. Take your time today snorkeling in the calm lagoon, exploring the wonders of the reef and its inhabitants without the crowds. Accessing the reef is very easy, either from the submersible platform on your vessel or from the beach as the reef hugs close to the island. Shallow reef conditions in this picturesque coral cay are perfect for snorkeling. Float on the surface, while breathing easily through a snorkel, viewing the wonderful marine creatures going about their day. Enjoy a glass bottom boat transfer, spotting corals, clams and turtles on the way to the sandy shores of Low Isles. Feel the sand between your toes as you walk the beach spotting the spectacular birdlife, with many sea birds breeding and nesting in the vegetation and on the ground. Relax on the comfortable, day bed style seating as you cruise back to Cairns and are then transferred to your Port Douglas hotel. Half Day Great Barrier Reef Cruise, Guided Snorkel Tour, Glass Bottom Boat Tour, Afternoon Tea, Overnight Port Douglas Accommodation. Time to say goodbye to beautiful Port Douglas, your fellow travellers and friendly hotel hosts. You will be personally met at your hotel by a DISCOVER AUSTRALIA representative and transferred from your hotel to the airport for your flight home. You have 3 choices of accommodation in Port Douglas. Our "Good Standard" central Port Douglas hotel has great facilities, a comfortable room and friendly service (typically 3.5 stars). Alternatively, why not treat yourself? The "Deluxe" hotel has superior facilities, stylish room and first class service (typically 4 stars). The “Luxury” hotel has upscale with a more luxurious feel for the discerning traveller and great for celebrating an anniversary (typically 5 stars). The Port Douglas Essentials is very popular. Many dates book out well in advance, please book soon.